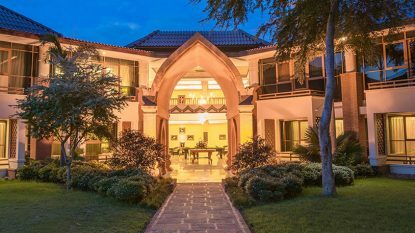 Atmospherically located in Old Bagan, right at the heart of the ancient temple complex, the Hotel @ Tharabar Gate is a relaxing and comfortable base to explore this archaeological wonder. 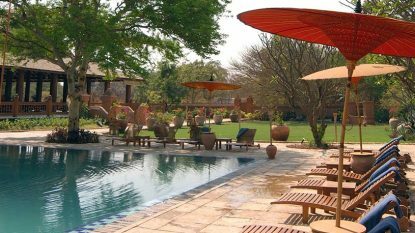 Occupying a vantage site on the banks of the Ayeyarwaddy River and revelling in space and privacy, the Aye Yar Riverview is an ideal destination for a family holiday. 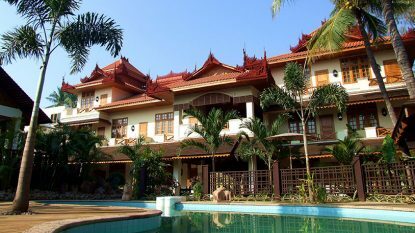 Myanmar Treasure is a traditional resort hotel drawing on typical Bagan temple architecture. 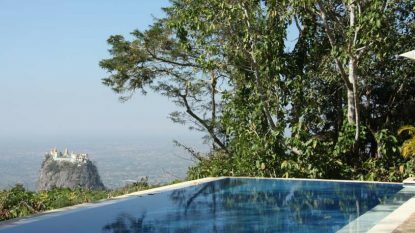 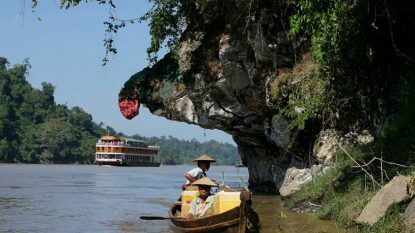 Situated on a steep sided volcanic peak of Mount Popa is the Popa Mountain Resort, a secluded international resort. 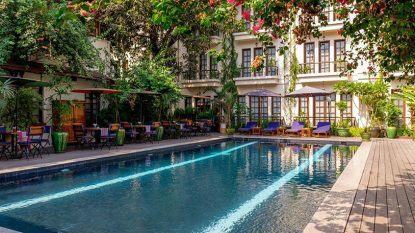 A romantic, colonial-style mansion dating from the 1920s, The Governor's Residence in Yangon is redolent of the British era. 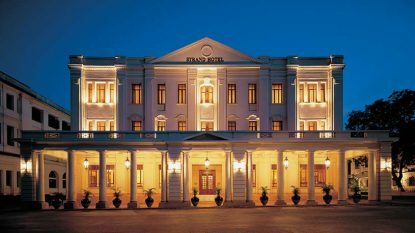 The Savoy Hotel is a five star colonial-era boutique hotel in Yangon. 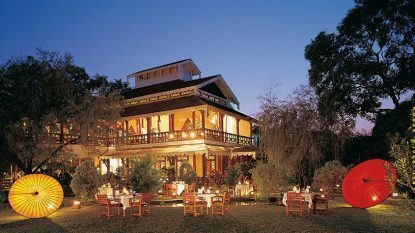 The Rupar Mandalar Hotel is a romantic hotel with an exotic atmosphere located in Mandalay. 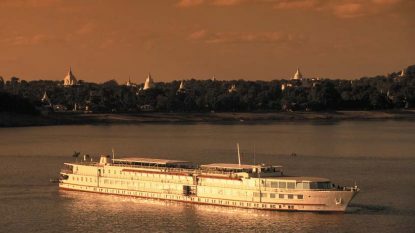 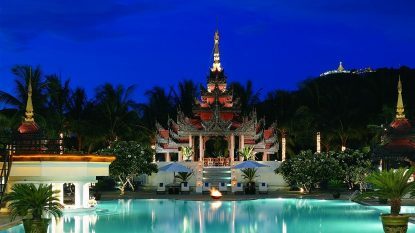 Mandalay Hill Resort faces the distinctive Royal Palace and its beautiful moat in the heart of Mandalay. 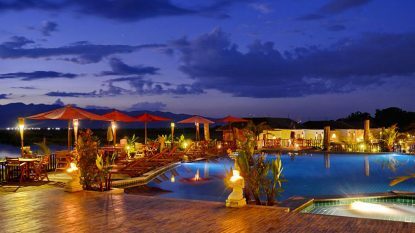 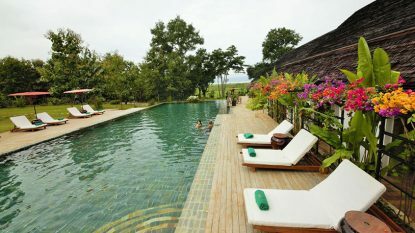 Inle Princess Resort is surrounded by magnificent views of the blue mountain ranges and rice paddy fields. 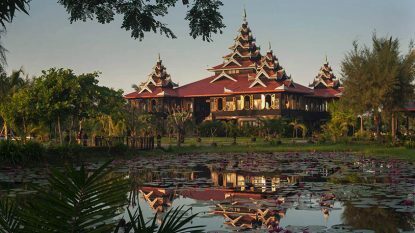 he Mrauk U Princess Resort offers the most stylish and sophisticated accommodation in Western Myanmar. 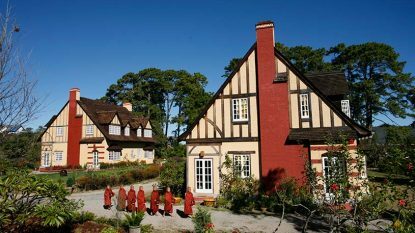 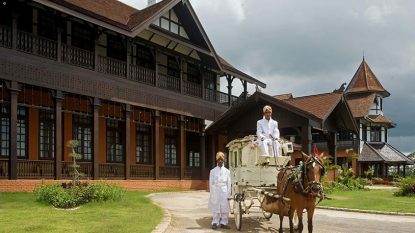 Set in an attractive pair of timber-framed colonial-era residences that have been restored to their former glory, the Amara Mountain Resort is the most comfortable accommodation in the Kalaw region. 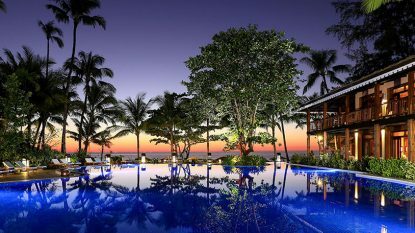 Completely recreated to reflect the epoch of the 1920s and 1930s, the Aureum Resort at the Governor’s House is an indulgent oasis for the modern traveller. 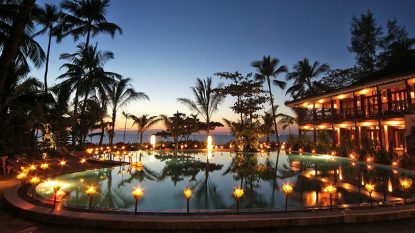 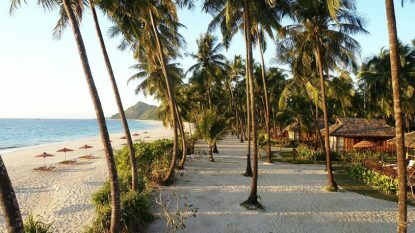 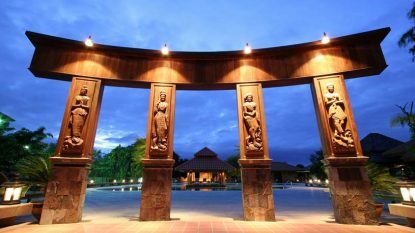 Furnished with top-quality designer teak furniture and decorated with modern artworks, the accommodation of Aureum Resort & Spa remains some of the finest at Ngapali beach. 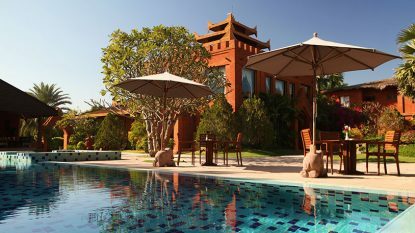 The Aureum Palace Inle Resort is perched on the edge of lake waters. 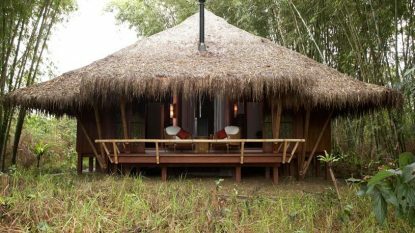 Setting the standard for remote rural accommodation in Myanmar, Malikha Lodge is a striking ecolodge set under the foothills of the Himalayas. 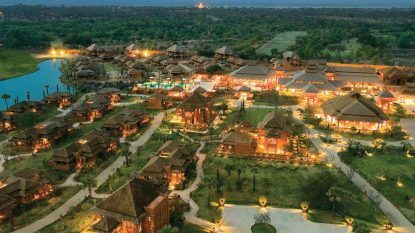 Nestled amongst coconut palms on the pristine beach of Ngapali, this luxurious resort is designed in traditional South East Asian elegance. 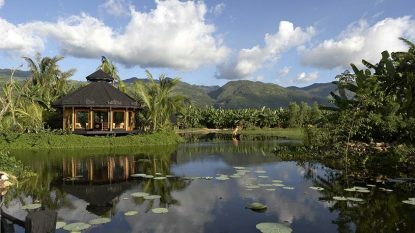 Spread over the eastern front of the lake, all rooms at Villa Inle Resort & Spa are designed to harmoniously blend in with the natural environment.